The first and only country to receive F-14 Tomcat was, The Nirouyeh Havaiyeh Shahanshahiye Iran, or Imperial Iranian Air Force. Soviet MiG-25 Foxbat had regularly been flying unrestricted over Iranian territory, and IIAF had no mean of intercepting these high-speed intruders. Thus, the search for a new fighter/interceptor begun. Iranian pilots were virtually flown and tested every fighter available at the time including MiG's (some done secretly in other countries). The final report which indicated pro's and con's of each fighter suggested the F-14 Tomcat and F-15 Eagle as the best fighters. In August of 1973, the IIAF selected the F-14 Tomcat ( From 1970 Iraq was in contact with French government to equip their Air Force with Mirage F-1, this was another factor for IIAF to choose F-14 and start planning for purchase, operation and training for F-14). 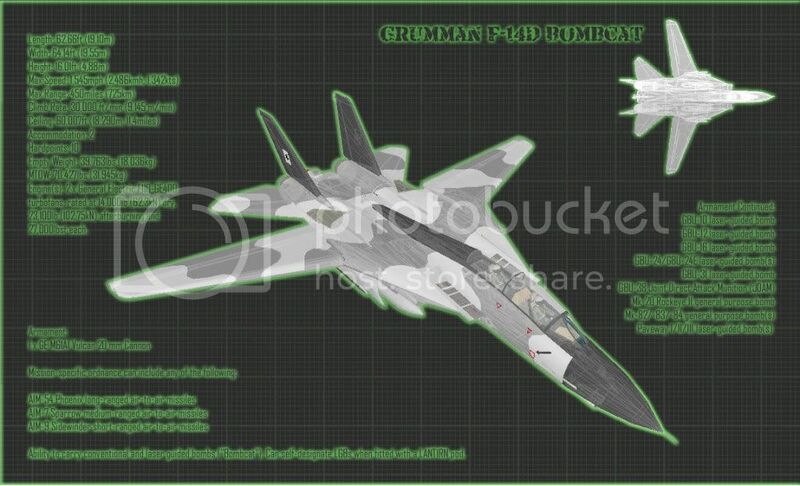 The initial order signed in January of 1974 covered 30 Tomcats, but in June 50 more were added to the contract.At the same time, the Iranian government-owned Bank-e-Melli stepped in, and agreed to loan Grumman $75 million to partially make up for a US government loan of $200 million to Grumman, which had just been cancelled. This loan save the F-14 program and enabled Grumman to secure a further loan of $125 million from a consortium of American banks, ensuring at least for the moment that the F-14 program would continue. Thanks to Bank-e-Melli. The Iranian Tomcats were virtually identical to the US Navy version, with only a few classified avionics items being omitted. The base site for Iranian Tomcat operations was at Isfahan’s (Khatami Air Force Base) and 1 Squadron at Shiraz Tactical Fighter Base. Imperial Iranian Air Force aircrews began to arrive in the USA for training in May of 1974,The crew were mainly veteran F-4 pilots. General Abdolhosain Minousepehr (Commander of Khatami AFB). After completion of F-14 training in USA they became F-14 Instructor pilots. After returning to Isfahan they started training the rest of the pilots with the cooperation of 4 American F-14 Instructors which was part of contract. Major Farahawar flew one of the F-14 from USA to Iran. Major Zangeneh was the Iranian pilot who tested the "Phoenix" missile in USA. The Iranian Tomcats were fairly late on the production line, and were therefore delivered with the TF30-P-414 engine, which was much safer than the compressor-stall-prone P-412 engine. The first 2 of 79 Tomcats arrived in Iran in January of 1976. By May of 1977, when Iran celebrated the 50th anniversary of the Royal House, 12 had been delivered. At this time, the Soviet MiG-25 Foxbats were still making a nuisance of themselves by flying over Iran, and the Shah ordered live firing tests of the Phoenix to be carried out as a warning. In August of 1977, IIAF crews shot down a BQM-34E drone flying at 50,000 feet, and the Soviets took the hint and Foxbat over flights promptly ended. The IIAF Tomcats bore the US Navy serial numbers of 160299/160378, and were assigned the IIAF serial numbers 3-863 to 3-892 and 3-6001 to 3-6050. The last of 79 Tomcats were delivered to Iran in 1978. 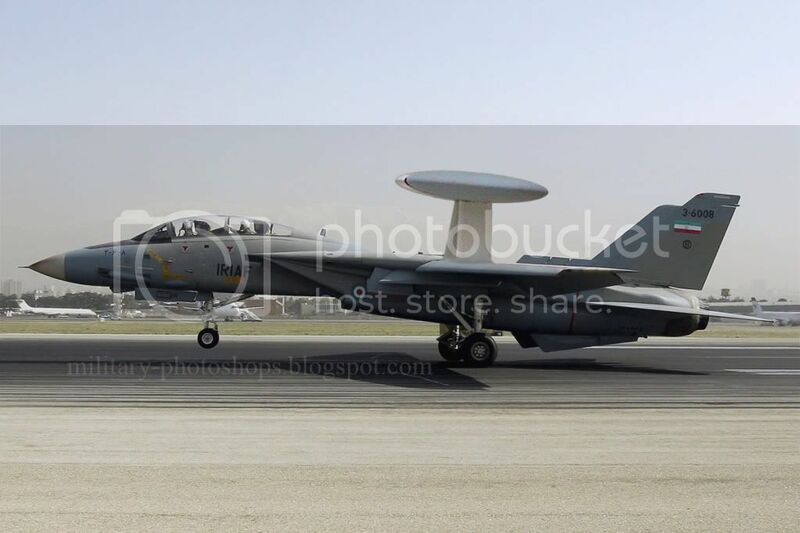 The last Iranian Tomcat (BuNo 170378) was retained in the USA for use as a test bed. Iran also ordered 714 AIM-54A Phoenix missiles, but only 284 had been delivered at the time. Toward the end of the 1970s most suppliers were cancelled by the new government, including an order for 400 AIM-54A Phoenix missiles. Imposition of a strict arms embargo against Iran by the West caused a severe spare parts and maintenance problem, with many pilots and maintenance personnel following the Shah into exile. As a result, by 1980 the Iranian Air Force was only a shadow of its former self. This embargo was to have an especially severe long-term effect on the Tomcat fleet, since the embargo prevented the delivery of any spares. The Iran-Iraq war began on September 22, 1980 with an Iraqi air attack on six Iranian air bases and four Iranian army bases. It was followed by an Iraqi land attack at four points along a 700-kilometer front. Air power did not play a dominant role in the Iran-Iraq war. During the first phase of the war, Iranian aircraft had the fuel and the endurance to win most of these aerial encounters, either by killing Iraqi aircraft with their first shot of an AIM-9 sidewinder or else by forcing Iraqi fighters to withdraw. Iranian pilots had the edge in training and experience, but as the war dragged on, this edge was gradually lost because of the repeated purges within the ranks of the Iranian officers which removed experienced officers and pilots who were suspected of disloyalty to the Islamic regime. The Iranians could not generate more than 30-60 sorties per day, whereas the number of sorties that Iraq could mount steadily increased year after year, reaching a peak as high as 600 in 1986-88. It is extremely difficult to get any reliable estimates of just how many Iranian F-14As were in service at any one time during the war, with planes having been deliberately cannibalized to keep some flying. In the summer of 1984, it is estimated that Iran could fly only 15-20 Tomcats, maintaining them largely by cannibalization. Very often, Tomcat served in a mini-AWACS role by virtue of their powerful radars and was deliberately not risked in combat. The Iraqi high command had order all it's pilots not to engage with F-14 and do not get close if F-14 is known to be operating in the area. Usually the presence of Tomcats was enough to scare the enemy and send the Iraqi fighters back. 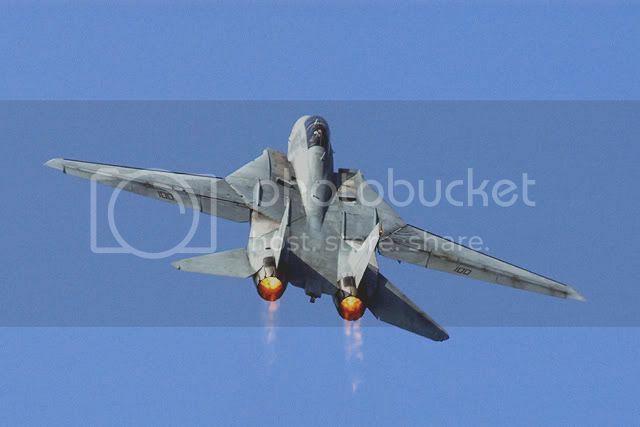 The Iranian F-14s scored most of their kills with AIM-54A Phoenix missiles during the war with Iraq losing only one Tomcat in combat when it got cut off-guard by a MiG-21 (Pilot "Ale Agha" and Rio...??. Lost their life). Another Tomcat was lost due to loss of control when the aircraft entered in spin (Both pilot and RIO Ejected). And a Ground to air missile hit another Tomcat over "Khark" island (Pilot was Capt. Hazin). It is documented that Iranian F-14As have shot down Iraqi fighters, including Mirage F1s, SU-22, MiG-21, MiG-23, and MiG-25. An Iranian Tomcat scored a kill against an Iraqi Mirage F1 as late as the spring of 1988. Iranian capabilities in this area may have taken place on February 11, 1985, when 25 Iranian F-14A Tomcats took a mass fly by over Tehran. In spite of the Western arms embargo, Iran been able to maintain a more-or-less steady supply of spare parts for its fleet of Tomcats, from Iranian aircraft industries based at 1st tactical air base in Tehran. The number of Tomcats in service with Iran is reported as many as 60 aircrafts. Some of these parts also seem to have been smuggled into Iran by Israel. Also there is rumor of Russians provided assistance to upgrade tomcats aging airframe. US government supplied arms to Iran in exchange for its assistance in getting hostages held in Lebanon released. However, the AN/AWG-9 radar is certainly operational, and the Iranian Tomcats can fire AIM-9 Sidewinder and AIM-7 Sparrow missiles. Most Iranian Tomcats flew with a missile load of four Sparrows and two Sidewinders. 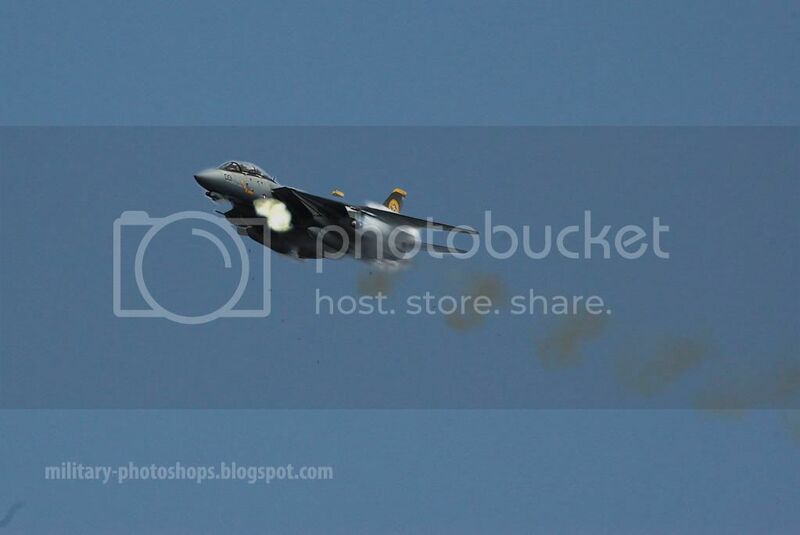 Rumors had been going about that Iranian F-14As had been fitted with the Russian made engine and ejection seat and has the capability to launch air-to-surface anti-ship missiles. 160377 F-14A 3-8049 Remained in the U.S.A. for testing.